It is positive, because the preaching and teaching should be rooted in sound Doctrine that has been explored, challenged and fermented in the course of a Seminary degree. Seminary should forge a firm Doctrine that will first present Scriptural Truth plainly and second remain firm in conviction so as not to be swayed by “new thought” or interpretation. The risk of occupying the pulpit without a Seminary degree is the potential for shallow roots of faith and Doctrine that may be easily swayed by cunningly devised fables and heretical ideas dressed up as “new revelation.” This is not a blanket indictment of Pastors who have not graduated from Seminary; it is a cautionary message to exercise greater discernment when a Pastor doesn’t have his degree. 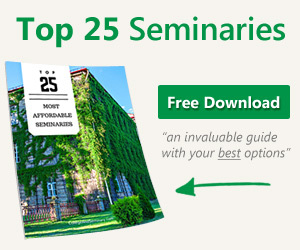 There are good, sound, Scripture-loving, Truth-preaching Pastors who never set foot on a Seminary campus, and there are Seminary graduates who hold heretical beliefs. Because Scripture is accessible, each and every sermon ought to be examined, evaluated and vetted for Truth (the whole Truth) before it is accepted as valid. This discussion is to identify the potential risks associated with a lack of formal education and training in the pulpit. There are good, sound, Scripture-loving, Truth-preaching Pastors who never set foot on a Seminary campus, and there are Seminary graduates who hold heretical beliefs. Because Scripture is accessible, each and every sermon ought to be examined, evaluated and vetted for Truth (the whole Truth) before it is accepted as valid. This discussion is to identify the potential risks associated with a lack of formal education and training in the pulpit. This discussion is to identify the potential risks associated with a lack of formal education and training in the pulpit. When a Pastor has not been challenged by Seminary; when he has not forged his faith through research, discussion, dissenting interpretations and wrestling in prayer with God’s Truth and man’s feeble reasoning; when the roots of his Doctrine have not been specifically tended to and strengthened by intense study of Scripture and history, he is at best un-tried. When an un-tried Pastor leads a church, the potential exists for “new” interpretation or application to be embraced. If your church is not rooted in rock-solid, tried & true Biblical theology, many vulnerabilities exist. The primary vulnerability is that of man’s reason or logic affecting Doctrine. In the late 20th century, “Biblical” Psychology exploded on the church scene. Personality tests were distributed among church boards and other program leaders. Suddenly it mattered whether you were ‘blue’ or a ‘beaver’ or what your specific leadership style was. Degrees in Psychology became as important as Seminary degrees. Even Bible College degrees (not specifically earned in theology) were more widely accepted when church leadership was seeking candidates. This change of focus (considered an “expansion of view” instead of a hostile take-over) opened the door for un-Biblical doctrine to take root in many independent churches. Universalism grew in popularity and churches that had a rich history were reinventing themselves into something that wasn’t really “church” any more (at least not God’s Church!). As self-esteem became the buzzword in American culture, the mainstream independents churches adopted the same message and “love” became more important than Holiness, God’s Sovereignty or Christ’s atoning work. As self-esteem became the buzzword in American culture, the mainstream independents churches adopted the same message and “love” became more important than Holiness, God’s Sovereignty or Christ’s atoning work. The origin of this attitude is from what is called a “post-modern” or “post-Christian” culture. As a people, we believe we have outgrown God. This affects how we approach God’s Church and leave congregations susceptible to errant Doctrine because we are trying to make our own way. And all the while, God has shown us the way through His Word and Church history. 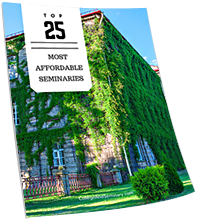 This is where the real value of Seminary education and training is found. In forging the tenets and doctrine of their personal belief system through the Seminary experience, a wise Pastor will remain totally reliant on God’s Word and His Spirit for guidance. Without that surrender (learned in the classroom, library and personal study), the risk of bad Doctrine becomes greater. In forging the tenets and doctrine of their personal belief system through the Seminary experience, a wise Pastor will remain totally reliant on God’s Word and His Spirit for guidance. Without that surrender (learned in the classroom, library and personal study), the risk of bad Doctrine becomes greater. Without that surrender (learned in the classroom, library and personal study), the risk of bad Doctrine becomes greater. When Did “Christian College” Become a Curse Word?